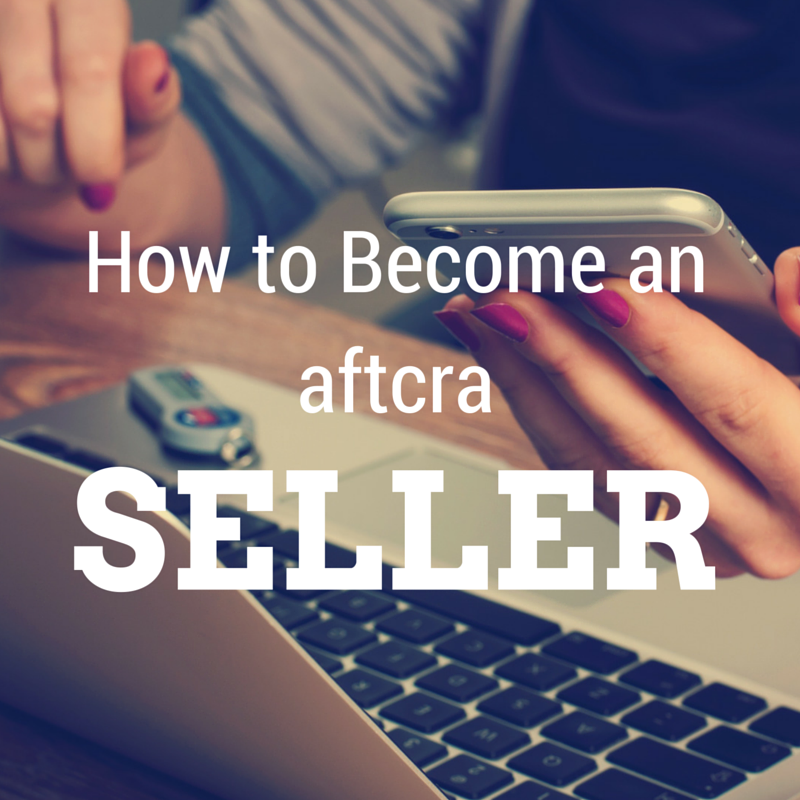 How to Become a Seller on aftcra! Hi there, and welcome to aftcra! We are a team of creative- and handmade-enthusiasts who are excited to welcome you to the aftcra family. Before we begin, let's make sure that we can work together. Below are the requirements in order to sell your handcrafted goods on aftcra. If you still have a question after reading through the guidelines, feel free to email the aftcra team. What qualifies as “handmade” or “handcrafted” on aftcra? 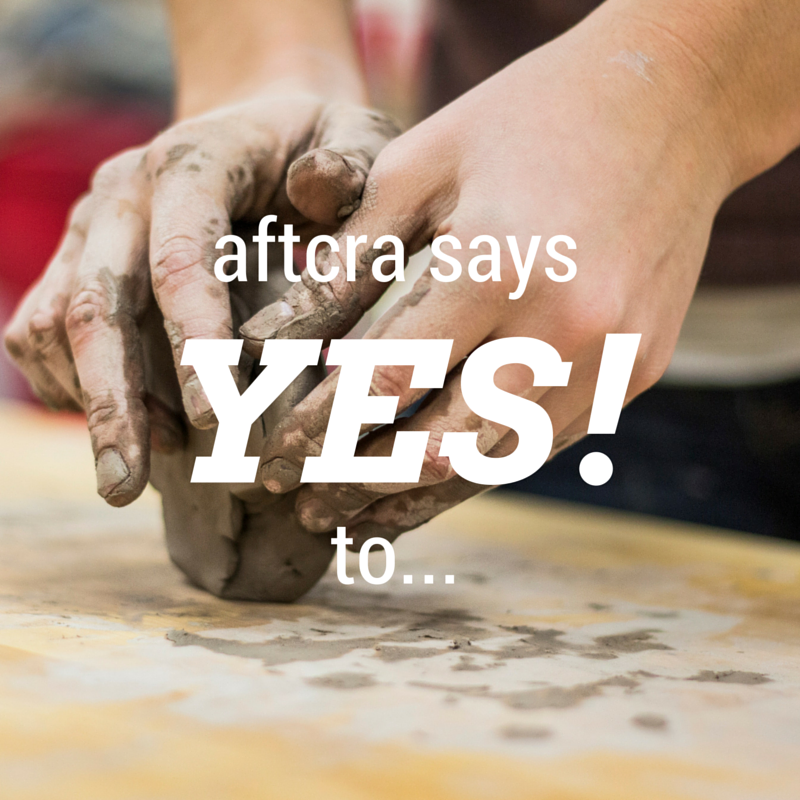 At aftcra it is important that we are inclusionary of all levels of talent, skill, ability and background. 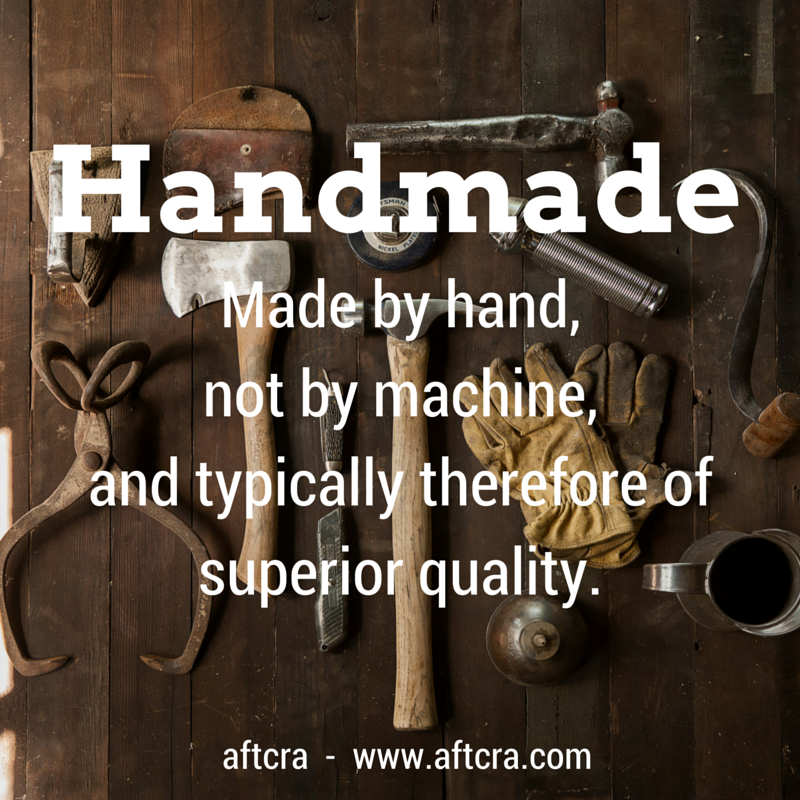 We want to celebrate the variety of artists around the USA, which is shared in aftcra’s handmade guidelines. Can I sell my products on aftcra? aftcra is a marketplace for goods handmade in America. As long as your products are handcrafted by you or your small team and you currently live in the USA, you are able to sell your handmade work on aftcra. What products are allowed on aftcra? We understand at times goods of this nature are not always able to be completely handmade by the shop owner on aftcra and may require to be printed by an outside source. What products are not allowed on aftcra? Products not handcrafted in the USA. Reselling of productsthat are not created by the shop owner. 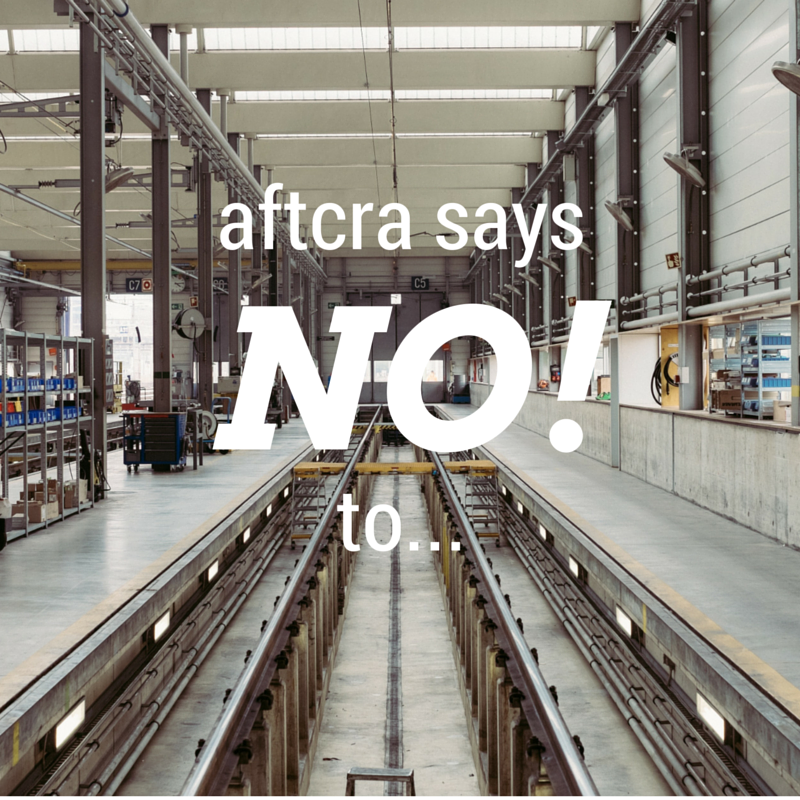 Any products that do not fit within aftcra’s requirements will be questioned and the shop owner will be contacted, with the potential of the shop being shut down. If you ever identify products that don’t fit within aftcra’s requirements you can contact the aftcra team. Phew – now that we made it through the requirements to sell on aftcra, let’s go over some of the fee details. What are aftcra’s fees and product timelines? All aftcra sellers are able to set up a branded shop and list products for free. Once listed, all products live on aftcra.com for six months. After six months the products expire. Expired products can be relisted for another six months for free. aftcra only charges a fee once a sale is made, which is 7% of the total sale price. 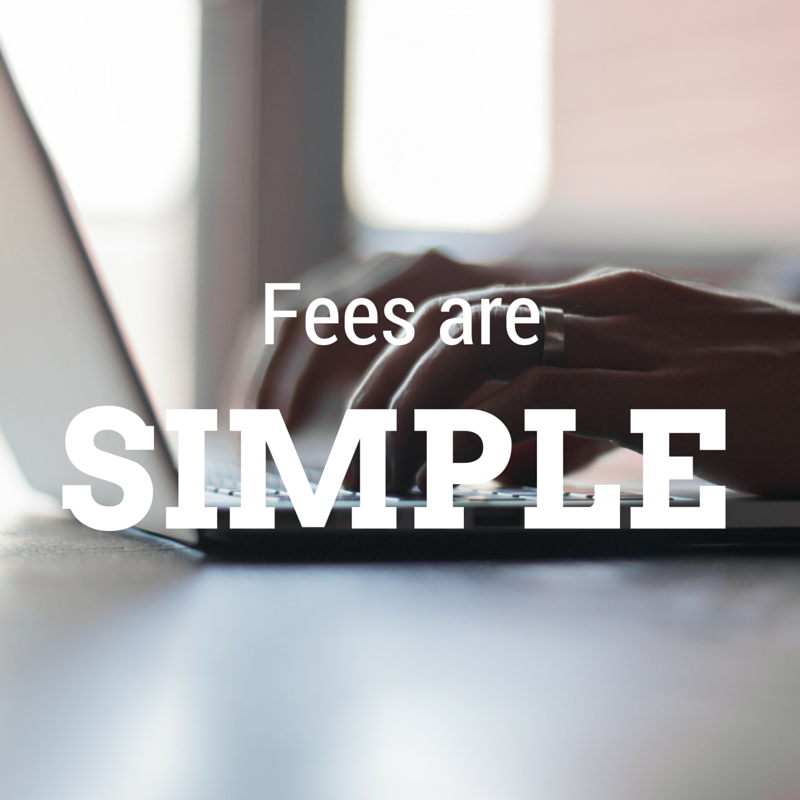 This fee does not include any financial transaction fees from PayPal. How do I become a seller on aftcra? Setting up an aftcra shop is simple and should ideally take less than five minutes. Below are the step-by-step directions on how to create an account on aftcra. Confirm Paypal Account. Ensure that you have a PayPal account. This is how you will get paid and how aftcra will receive the transaction fee. All purchases made on your shop will be done via your PayPal account. Register with aftcra. To get your aftcra account started, you will need to register with aftcra. Become a Seller with aftcra. Once you are registered, log in to your account. Once you are logged in to your account you will be taken to the dashboard of your account. You are able to view any purchases you have made and edit your profile on your dashboard. On the left-hand side you will see a link called "Become a Seller". Click that link. Start Creating Your Seller Profile. In order to become a seller with aftcra, you will be asked to enter in a credit card. Your credit card information should be entered as only numbers – no spaces or dashes. This step in the process a requirement from PayPal to verify your account. PLEASE NOTE: Your credit card may be temporarily charged $1. This is NOT a fee taken by aftcra. PayPal temporarily charges your credit card to verify your account. You will be refunded by PayPal. Store URL: Your store URL cannot contain spaces, only characters. PayPal Email Address: This is the email address associated with your PayPal account. Google Analytics Account: If you are interested in viewing shop stats and tracking information, you can enter in your Google Analytics Account number. For additional information on a Google Analytics Account, you can access aftcra’s FAQs. Description: Enter any details about your shop, how you craft your products, your inspiration, etc. in this section. Store Tagline: This tagline will be shown under your shop’s name on your shop’s page. Store Banner: Your banner should be 632 x 406. Please note that your profile image (typically the store owner’s headshot) does cover up a portion of the shop banner. Please plan your shop banner image accordingly. Profile Image: Profile images are typically the store owner’s headshot. This image helps buyers understand who they are purchasing from, which makes them feel more connect to you as a shop. If you do not feel comfortable using a profile image, please feel free to use your shop’s logo. For additional questions, please feel free to review aftcra’s FAQs. Upload Products. To upload product click “Manage Products” on the left-hand side of the page. Here you are able to either add new products, view your unlisted products (i.e. when a product expires or hasn’t been listed yet), or import products from Etsy. - Product Name: When selecting your product name be sure to include enough descriptive information. Your product name is important for SEO. Both aftcra’s search functionality and search engines (i.e. Google, Bing, Yahoo!) heavily depend on the product name. Descriptive and accurate product names will lead to more views. If you need advice for your product name, contact the aftcra team. - Hidden: Hidden means that you can hide your products so they are no longer visible on aftcra.com. - Status: An orange box means the product is unlisted and has never been listed on aftcra. If you click on the orange box the product will go live on aftcra.com. A green box indicates that the product expired and is able to be relisted. If you click on the green box the product will go live on aftcra.com. You are able to import several products from Etsy at once, eliminating the hassle of uploading each product one-by-one. You can access an overview of aftcra’s Etsy Importer tool, which will include information on how to download products from Etsy, how to import products from Etsy, etc. Once your products are uploaded to aftcra they will show up in the “Unlisted Products” tab of “Manage Products”. PLEASE NOTE: You will need to manually enter in shipping amounts and select the appropriate aftcra category for each product. View Your Sales. All sales from your shop are listed here. You will find order and shipping details in this section. You also have the ability to include a tracking number with your order on this page, which will be sent to your customer once you click “Send to Customer”. Please note that the tracking number must be only numbers, no spaces or dashes. aftcra Sale Alert. When a sale is made on your aftcra shop you will receive an email notification from info@aftcra.com. In order to ensure that your messages do not wind up in spam, please add info@aftcra.com to your email's "safe list". Your aftcra dashboard will also reflect this information. Relist Your Product. Once a product sells or expires the six-month limit on aftcra, you can easily relist your product – for free! When you are in the “Manage Products” section of your dashboard, you will go to the “Unlisted” tab. A green box indicates that the product expired and is able to be relisted. If you click on the green box, the product will go live on aftcra.com. If you still have questions that were not answered during your shop set-up process, please feel free to review aftcra's FAQs. If you still have a question, please email the aftcra team. We are very excited to get to know you and work with your shop!